Synopsis: Harper Lee's Pulitzer Prize-winning masterwork of honor and injustice in the deep South—and the heroism of one man in the face of blind and violent hatred. About the Author: Harper Lee, known as Nelle, was born in the Alabama town of Monroeville, the youngest of four children of Amasa Coleman Lee and Frances Cunningham Finch Lee. Her father, a former newspaper editor and proprietor, was a lawyer who served on the state legislature from 1926 to 1938. As a child, Lee was a tomboy and a precocious reader, and enjoyed the friendship of her schoolmate and neighbor, the young Truman Capote. Review: Excellent look inside the south. It pains me to know that things haven't much changed when it comes to PoC and whites. Not just in the south, but all over this country. It's a book that should be read by everyone, and be required reading in high school. Things will never change if they don't change from the core. 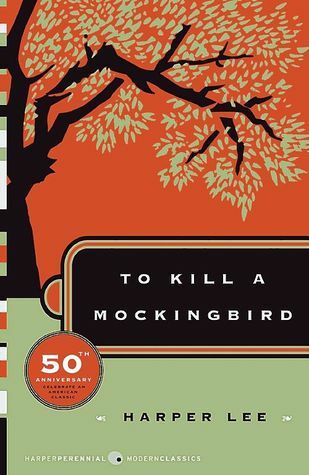 The mockingbird in this story was convicted and died because of the color of his skin, and because he had the misfortune of living in the wrong place at the wrong time. But who's to say this wouldn't happen all over again, in today's world?